Over the past few years, the hip-hop game has watched Juelz Santana become one of its brightest stars, its biggest personalities, and its finest MCs. Whether solo or with his Diplomats brethren - Cam'ron, Jim Jones, JR Writer, etc - Juelz has begun to let us in on a little secret: the game's been missing something vital, and he's got it. A certain cooler-than-thou swagger, an attitude, the flash of a menacing snarl. "Human Crack In The Flesh," he calls it. And now, with his second Def Jam effort, What The Game's Been Missing, the hip-hop nation is headed back to Santana's town, to rediscover Harlemworld's distinct style as only Juelz can bring it. Born and raised LaRon James, young Juelz Santana began his journey like many Harlem teens: the new kid on the block. Talking nonsense, smirking to the girls, clowning the guys. "I was hanging in the streets, hustling, doing everything I wasn't supposed to be doing," explains Juelz. "But I knew I wanted to change my life and could do it with music." 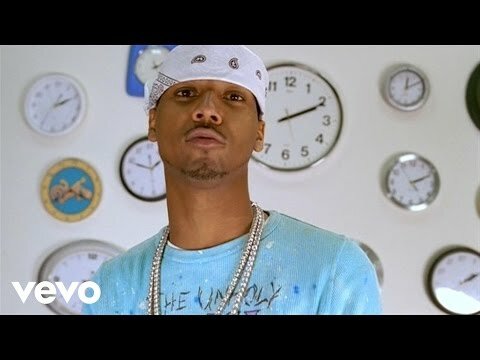 Laron James may have been the average Harlem teenager, but Juelz Santana was nice. Style for days, the sound of young Harlem incarnate. Juelz Santana got by on a charm so effortless it was almost infuriating. At 15, Juelz put together the group Draft Pick with a neighborhood friend. The duo was picked up by Priority Records, but it wasn't long until Santana was introduced through his cousin to fellow Harlem rapper Cam'ron. "Cam didn't even know he was gonna meet me," Juelz remembers. "He was sleeping. So we wake him up and do the introductions and Cam tells me to spit for him and his reaction wasn't like it was hot.he was sleeping." 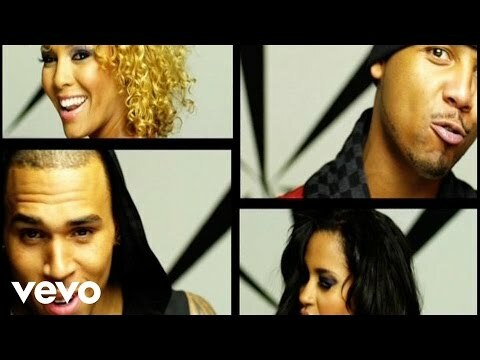 After establishing the guys-want-to-be-him-girls-want-to-be-with-him charm on Cam's hit, "Oh Boy," Santana made moves to make a name for himself. He released his solo debut From Me To U, featuring the anthem, "Santana's Town," and immediately became a force to reckoned with in hip-hop. A funny thing happened to Santana on his way to making his sophomore album. He fell in love with music. This isn't to say that the young Harlemite didn't have love for music beforehand. But in making his new album, What The Game's Been Missing, Santana indulged his gift of gab by constructing his own studio. "When you have your own place to make music, it becomes that much more of a priority. When you can dictate everything about your project that way, you start to really feel the music, feel every beat, every line. It becomes a part of you in a way that just doesn't happen when you're on someone else's dime and someone else's schedule." You can feel the passion in the music. With the first two singles off What The Game's Been Missing, Santana has landed a 1-2 combo that still has hip-hop heads spinning. 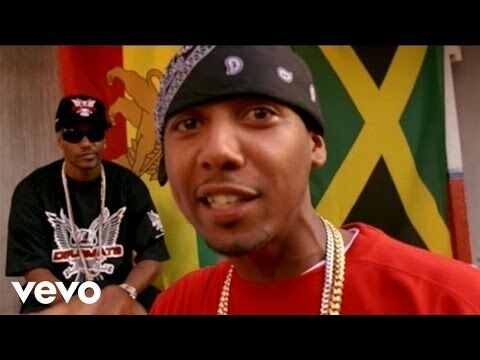 The royal horns of "Mic Check 1,2" and the absolutely addictive whistles of "There It Go" show off an even more focused Juelz Santana, tossing off ad-libs that other MC's would sign over there lives for ("Don't watch me. Watch T.V.") "On my first album, I feel like I let a lot of things just go. This time around though, I felt like it was all on me. That's why I built my own studio. That's why I directed my own video. They always say, you wait your whole life to make that first album and pour your whole life into it. But I feel like this one, man, this is my baby." So, what has the game been missing? "Leadership," says Santana, "Everybody is following everyone else, nobody is willing to be their own man, to be creative. It goes against what hip-hop is all about. The Dipset Movement is about forging our own path, people can go ahead and follow us." Hip-hop fans will be following Juelz Santana for a long time to come. Book Juelz Santana for shows and concerts at Heavy Rotation booking agency. Worldwide Bookings with HR Booking. Juelz Santana Booking, Book Juelz Santana. Book artists like Juelz Santana, Juelz Santana booking agent, contact Juelz Santana email, Juelz Santana manager, Juelz Santana management for concerts, bookings, biography, pictures, videos. Juelz Santana may be available for your club shows, private party, festivals or other events.